As we continue to enhance the out-of-the-box B2B functionality within OroCommerce, we also want our Community to increase their application knowledge in a more meaningful way. Starting today, our Training Thursdays will do more than simply overview new video tutorial uploads. We’ll also discuss the business value behind the features these videos highlight to help you determine their importance to your application. Today we’ll take a look at B2B payment solutions and the payment options that can be configured in OroCommerce. In the world where the boundaries between B2B and B2C business models are blurred, B2B companies frequently mimic B2C best practices. However, not all of the strategies that work well in B2C eCommerce fit the B2B environment. Payments are a prime example. Why are they so challenging? No two businesses are alike; neither are business customers. In B2B, sellers must take personalization to the next level, as each buyer represents a piece of the revenue pie. It’s unusual for business buyers to pay for their purchases instantly. Each buyer has specific needs and negotiated prices. Their internal operations may require different net terms or the use of specific payment solutions for internal policy or security reasons. The challenge for the B2B seller is to facilitate the process of price and terms negotiation by setting internal payment rules for allowed net terms, discounts and payment options depending on order volume, product margin, customer profile, etc., and to make sure that their B2B eCommerce system is flexible enough to allow custom rules for each buyer. In a B2C world, a rather limited set of payment options meets consumer needs. Most often, a credit card option is enough. B2B eCommerce, with its complex transaction processes and large order totals, must offer customers a host of payment methods including check and money orders, debit and credit cards, as well as PayPal or other payment vault services. B2B customers are accustomed to making purchases on a negotiated trade credit with the net amount to be paid to the seller within an agreed time period such as 30 or 60 days. Providing buyers with flexible payment terms is not optional, but an essential to preserving your competitive edge. Competing on price and product range alone is no longer enough to stay on top. 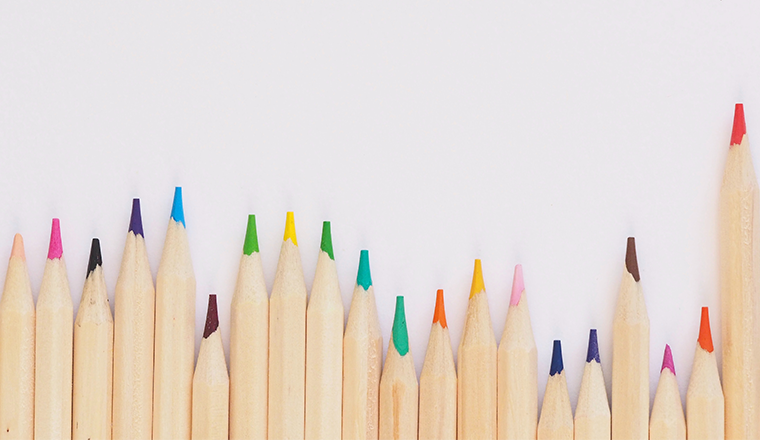 Customizable payment terms improve customer loyalty. But offering delayed payment options comes with certain financial risks. To be on the safe side, merchants usually seek an external payment services provider to assume credit and fraud risk and handle customer payments for them. Due to the frequency and high-value of B2B transactions, uncompromised data security of B2B online payments is critical. Sensitive payment data loss may lead to colossal financial losses. An online payment service using encrypted payment data outside of the webstore (e.g., in the form of tokens) is one solution to the security issue. A buying organization is often represented by multiple individuals who are involved in the B2B buying process. This process usually includes several stages of operational approval. For example, one employee may be in charge of product research and order compilation, but they are not authorized to commit company resources for payment and they must get approval first. In some cases, different departments within the buying company chose different payment options when placing orders. Without a robust system that can not only track and save orders but also enable multiple buyers to send orders for approval across departments, it may be hard to tame the chaos. OroCommerce provides sellers with the B2B eCommerce features and payment solutions that address all of these challenges. Built-in multiple price lists, multiple access levels and request for quote features enable the B2B seller to enhance and personalize buying experiences for their customers. Integration with the most popular B2B payment solutions satisfies B2B customers payment preferences. Integrate PayPal, Wirecard or Authorize.Net into OroCommerce, and accept cashless payments via debit and credit cards, PayPal, or SEPA direct debit in more than 120 currencies from a single account. Integrate OroCommerce with InfinitePay, the European B2B payment system and secure fully automated, guaranteed delayed payments on open account terms (for orders up to 50K Euro). Apruve integration, allows sellers to provide credit lines for their buyers in the US and receive payments within 24 hours upon invoice issuing. Now that we’ve looked at the complex issue of payments and terms, we’ll show you how to easily configure payment terms and payment integration methods to meet your needs. 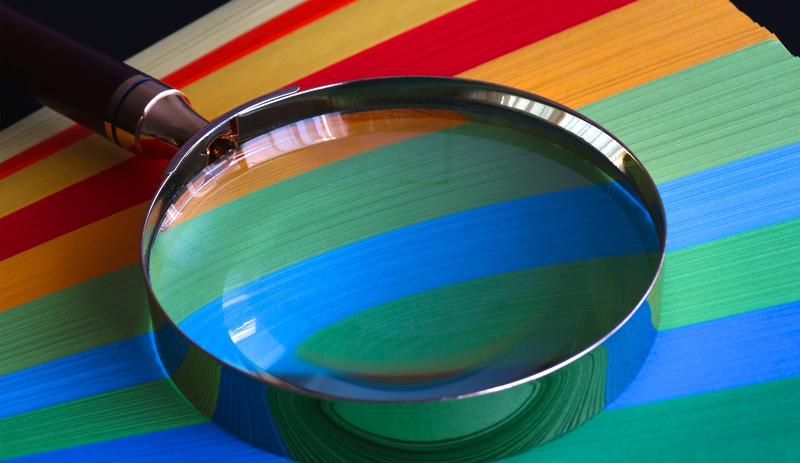 Enabling case-specific payment rules in the system. Here’s a sneak peek at each of these video demonstrations. 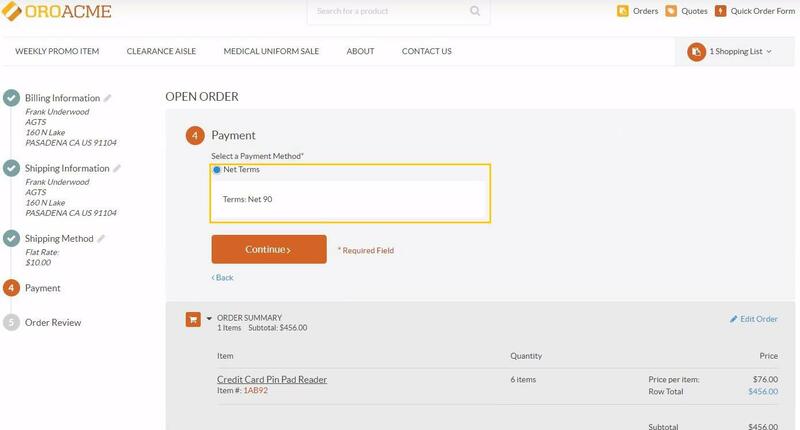 By watching this video, you’ll learn how to enable payment terms as an integration and set up payment terms for various payment options including cash on delivery (COD), money orders, personal checks, and net terms. 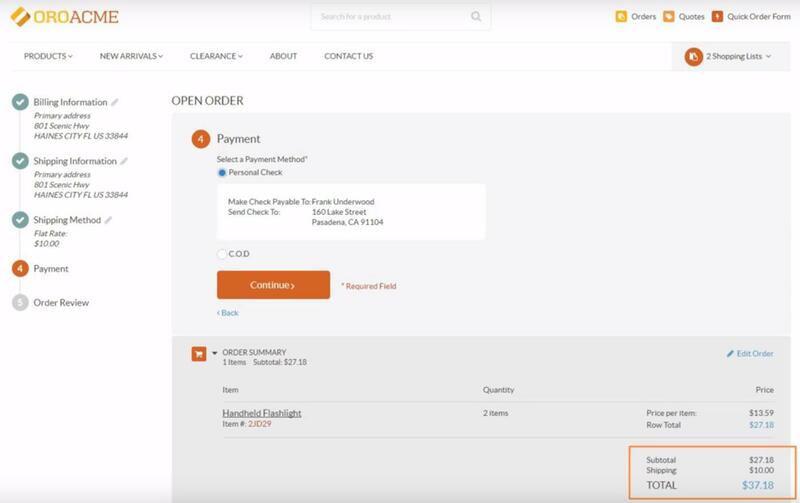 The video also explains how to assign payment terms to a specific customer for display at checkout. Note: It’s important to have at least one payment term selected to enable the buyer to checkout, otherwise they must contact a sales rep to complete their order. You can configure just any amount of payment method integrations for each payment term. 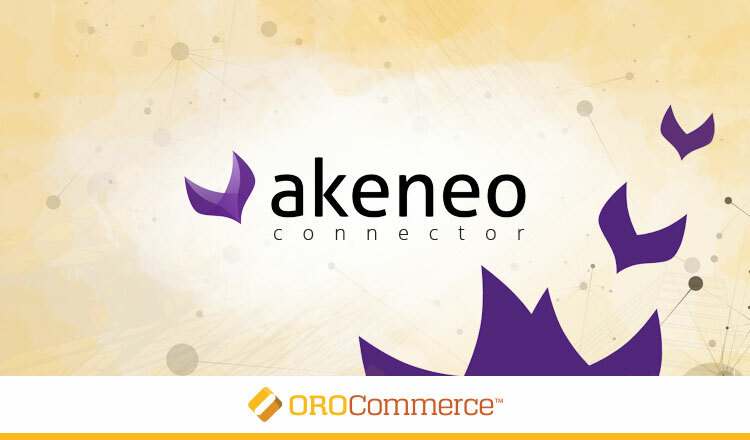 In OroCommerce, payment rules are used to determine and display payment options for a buyer. Sellers can set up payment rules for a certain destination or qualify a payment rule related to a customer or product attribute using expression conditions. This video explains how to create payment rules to bind specific customers to the payment terms. It demonstrates how to create payment rules for the US buyers and those located in the same state as the vendor. Additionally, we show how to write an expression for a payment rule enabling buyers to pay with personal checks if their order value is under $100. Customers with the order total under $100 can opt to pay with personal checks at the checkout. 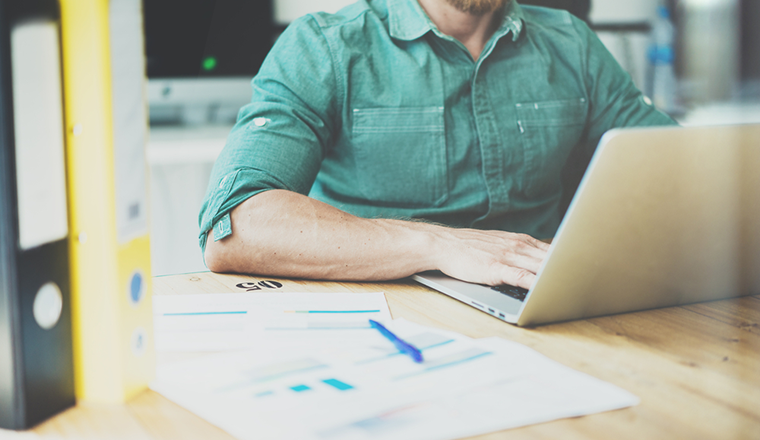 To learn more about B2B payment solutions, providers, payment integrations, and configuration, see the Payment section of OroCommerce documentation. Be sure to let us know if you like the new Training Thursdays, and be sure to stay tuned for the next video about Inventory and Warehouses.